cool rukia look a killer. The plot to the new movie sounds awesome! 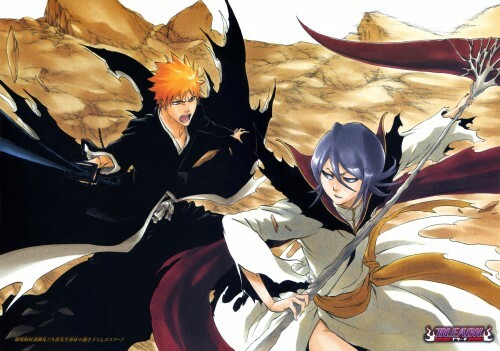 Alternate Timeline with no Rukia also means no Ichigo. Sorry but if watched the recent show OP it's not really a spoiler. Awesome scan! I love Rukia like that. This movie looks like it's gonna be awesome! excelent scan ,thanks a lot . Cool! Rukia looks really cool in that outfit! Woaa .Rukia looks so amazing .Thanks for sharing this ^^ . oooh,this is really awesome scan!thanks! i really can't wait for this movie~! nice moves she has! also smexy dres! Wonderful! I have never seen this before, thank you!